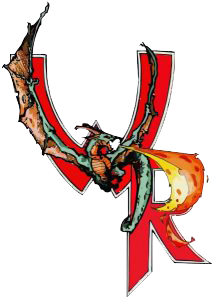 Wyvern Rising is a live action role-playing game (LARP) based in a medieval fantasy genre. A role-playing game is a form of entertainment in which players create an imaginary persona, or character, and proceed to play out situations and adventures involving that character. Most people have some familiarity with the popular computer and online fantasy games or tabletop role-playing games that involve books, charts, and maps. Your character’s fate is determined by the roll of the dice and the game master’s whim. The difference between those games and Wyvern Rising is the “live action”. Get up from the table and throw away the dice, because now the adventure is no longer imaginary! Its real, and you’re in the middle of it! The characters are live and the action is everywhere. We take fantasy gaming a step beyond by bringing the fantasy into reality. You will wander the forest, sleep in a cabin, and encounter unusual people and creatures. You will fight for you life or run in fear. If you’re lucky, maybe you’ll live to see tomorrow. In Wyvern Rising, you not only create your character, you are your character. Players wear medieval and fantasy clothing, right down to flowing robes and metal armour. Actual combat is conducted with boffer weapons, safe and rugged simulations of swords, axes and staves. Square off one on one, or scramble through the chaos of a grand melee involving dozens of people. Mages, schooled in the arcane arts, cast spells via small beanbag packets hurled at their targets. The air crackles with mystical energies. Priests and Clerics support their companions or tend to the wounded. The Physicians drag the seriously wounded to a surgery tent and perform miracles with their crude instruments. The alchemists busy themselves delivering medicinal potions and various other concoctions that were brewed in their lab. On the fringes lurk the thieves and assassins, searching for booty on the bodies of the fallen, or seeking the enemy generals who die just like everyone else when their throats are cut. Which part will you play?